Contact our Customer Assistance Centre now. Write at info@milanocard.it. For a fastern assistance please consider the FAQ page (click here) where will find the answer to the questions made by the 92% of the customers which contatc our customer care! Telephone assistance is available from Monday to Friday 09.00-13 / 14.00-18.00 (Rome time) on +39(0)26700288. Or for a quicker response, contact us on Facebook by clicking here. DO YOU ALREADY HAVE A MILANOCARD? 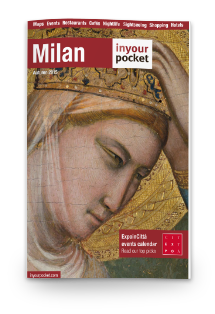 If you already have your MilanoCard, contact our customer assistance centre via-email to book tours, tickets for museums or football matches, lunch and dinner! Tailor-made assistance especially for customers who purchase MilanoCard online. DO YOU NEED ASSISTANCE IN MILAN? For customers who purchased MilanoCard online, we have a special office in Milan named “MilanTourismPoint”, where our staff will be happy to assist you to optimize your MilanoCard experience. At this office, you will also able to purchase discounted services, tours, museum tickets and more. It is located at 4th floor in via Silvio Pellico 2 at Highline Galleria and is open every day 10.00-21.00. Click here for the tutorial video (at the end of the page).